Starting today and continuing every other week, we’ll be taking a look at anime that are either based on tokusatsu or feature heavy influences from the medium. 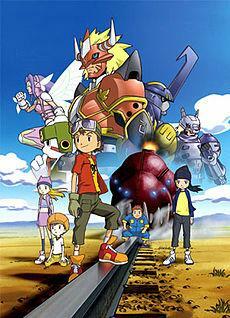 The fourth series in the Digimon line is Digimon Frontier, the final in the consecutive run of shows before the franchise went into slumber for a number of years. Whereas the previous shows featured a group of protagonists partnering with Digital Monsters (Digimon) in their efforts to save two worlds, Digimon Frontier brought about a radical change to the formula. 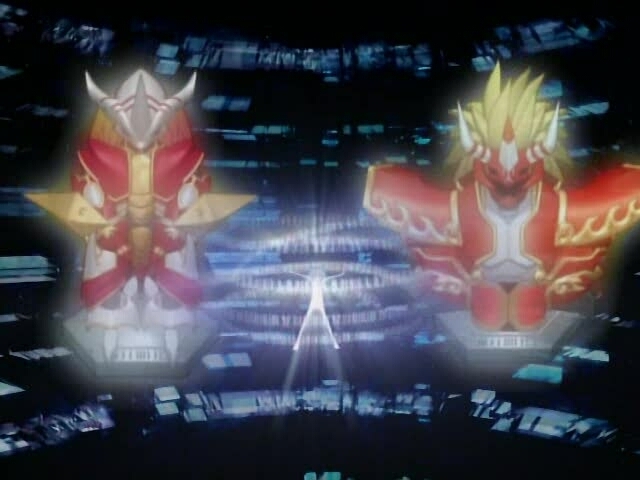 Fitting of a series from Toei, the studio behind Kamen Rider and Super Sentai, the heroes in Frontier, rather than partner with Digimon, became the Digimon themselves by transforming. As with shows past, the show focused on a group of children travelling to the Digital World after being called by some mysterious force to this strange land. The Digital World, a world parallel to our own, is inhabited by the creatures known as Digimon, most of whom are just trying to live their lives. As always there are, of course, a few who wish to cause trouble. In Frontier, there are a number of enemies, ranging from the corrupted angelic Digimon Cherubimon and his minions to the Digimon version of Satan himself, Lucemon. Digimon Frontier is heavy on the angelic and demonic imagery. 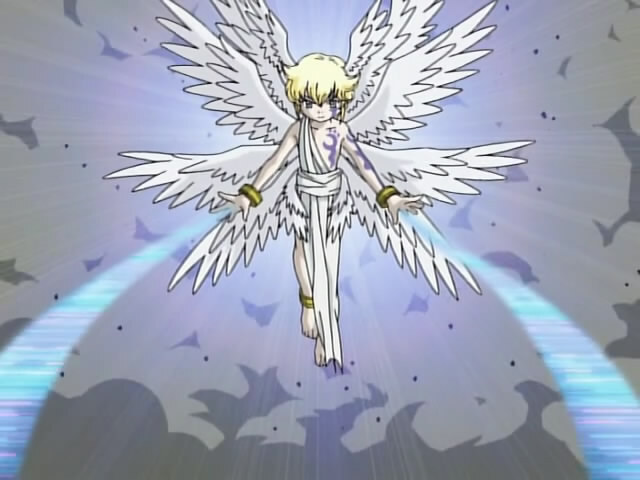 From Ophanimon, the last of the three celestial angel Digimon who called our heroes to the Digital World to Lucemon, a demonic Digimon who is slowly devouring the Digital World, there is no shortage of imagery and allusions in the show. Throughout the course of the show, the heroes learn to transform using the ancient Human Spirits, which allows them access to humanoid fighting forms, soon also accessing their Beast Spirits, which allow them to transform into beastial forms. As they meet new enemies, they gain new forms, eventually learning to combine their Human and Beast Spirits and finally combining every spirit into one to become the powerful Susanoomon. As with every good Sentai-like series, there has to be an extra hero. In Frontier, the additional hero is known as Koichi, who is Koji’s brother that was taken to live away from him after their parents divorced. Koichi is first introduced as the dark Duskmon, fighting our heroes to defeat and stalemate time after time before he regains his memory. As with most Sentai series, Koichi goes through his own arc that eventually leads him to joining the team. Although Frontier at times suffers from focusing a little too much on Takuya and Koji, it’s a great look at a group of kids who start out as total strangers and become friends along the way. We get interesting insights into problems each of them has in the human world – despite being very independent, Izumi is treated as an outsider at school because she grew up in Italy, Tomoki is picked on for being such a crybaby, and so on. While the show starts out as a typical adventure story, we quickly dive into the issues our heroes have and watch them grow and overcome these fears and faults as the series progresses. 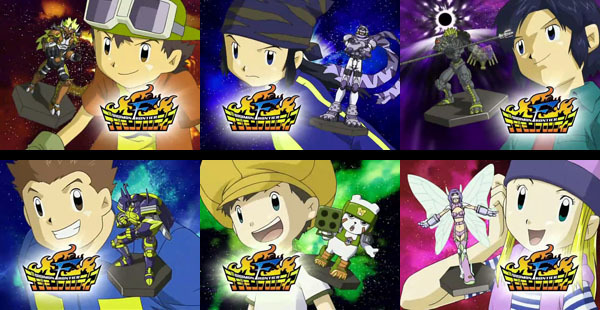 At 50 episodes long Frontier has three major story arcs, with two of them consisting of more episodes than seen in your typical Digimon series arc. This can be somewhat troubling because, from time to time, there will be a bit of drag with the show and it can feel as if Takuya and Koji take a lot of the focus, but the show more often than not shines as a nice example of a team coming together to become heroes and friends. You can legally view Digimon Frontier within the US over at Hulu. Join us next time when we cover Kamen Rider’s sole animated outing, Kamen Rider SD.